This contribution argues that the notion of time used in the scientific modeling of reality deprives time of its real nature. Difficulties from logic paradoxes to mathematical incompleteness and numerical uncertainty ensue. How can the emergence of novelty in the Universe be explained? How can the creativity of the evolutionary process leading to ever more complex forms of life be captured in our models of reality? These questions are deeply related to our understanding of time. We argue here for a computational framework of modeling that seems to us the only currently known type of modeling available in Science able to capture aspects of the nature of time required to better model and understand real phenomena. 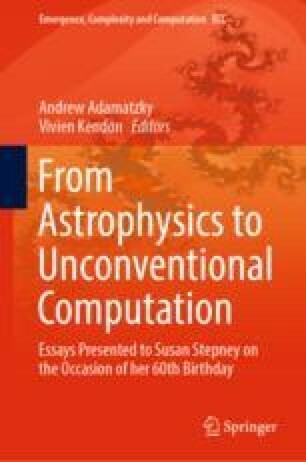 This essay was written on the occasion of the Festschrift for Susan Stepney’s 60th birthday. It is dedicated to Susan, whose work has been so inspiring and deep.